I'm a huge fan of businesses that have a strong connection with their community, instead of just belong to the address they are located. Fortunately, Java Lounge fits this description perfectly. 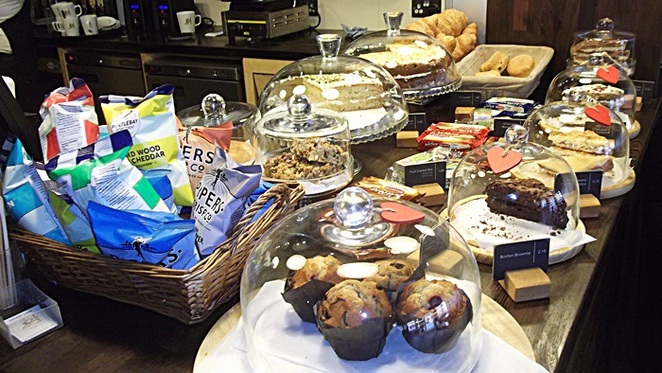 Celebrating its 10th anniversary this year as a successful independent coffee shop in Moseley, Java Lounge just opened its new branch on Colmore Row a month ago. I have visited both places on different occasions and I am pleased to say they are doing an excellent job. 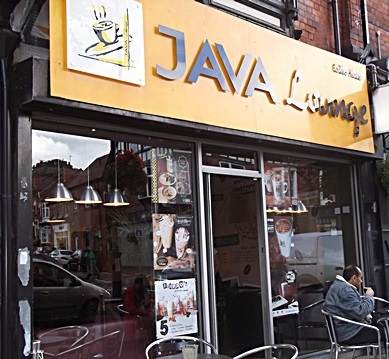 In Moseley, Java Lounge is placed on the high street of the village.The venue is visited daily by students, local artists and pensioners. There is no "packed coffee" at Java Lounge. The coffee sourced is with precision; you can feel the difference in the taste of the coffee. In my opinion, they serve the best latte in town (and Moseley). And because there is nothing wrong about being educated about coffee, there is a huge poster in the walls with the origins of coffee. To be honest, this is what you expect in the decor of a place that takes its coffee seriously. I felt the same passionate atmosphere in both shops, with friendly staff and great soundtrack in the background - including good Latin American tunes, which always help me to be in the mood for a coffee fix. If you are in the city centre, it is just impossible to not think about stopping here for a nice latte or espresso. And it is actually one of the first places I want to take my friends from Brazil next time they visit Birmingham. We do take our coffee seriously as well. It is spacious and a great spot for business meetings or happy hours. As a Brazilian powered by coffee, I have lost the count of how many times I had a nice chat with Java Lounge's owner Akram about his dedication to source the best product. It´s just fascinating. 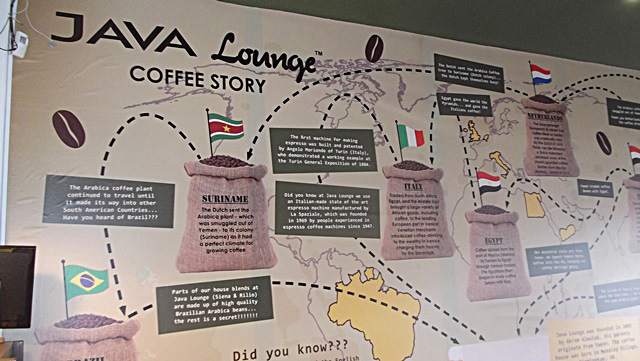 Java lounge also has a range of "take home coffees" like Siena and Rilio blend. As you can probably imagine, this coffee shop not only offers coffee drinks. Their Oreo milkshake, for example, is another very popular drink at Java lounge and I do recommend having a proper look at the milkshake and caramel nut options. They are just like heaven. And if you fancy a nice piece of cake to start (or finish) the day well, this is the place to be. With Lemon drizzles, chocolate and other homemade delicious ones. My last discovery was a wonderful falafel that I probably will repeat soon. Just face it, Java Lounge takes coffee passion to another level and it works perfectly for me! I hope you can find out the same visiting the shop in Moseley or Colmore Row.